This Patreon helps me keep the site running and the comics updating, a dollar or two a month goes a lot farther than you think! Please help! 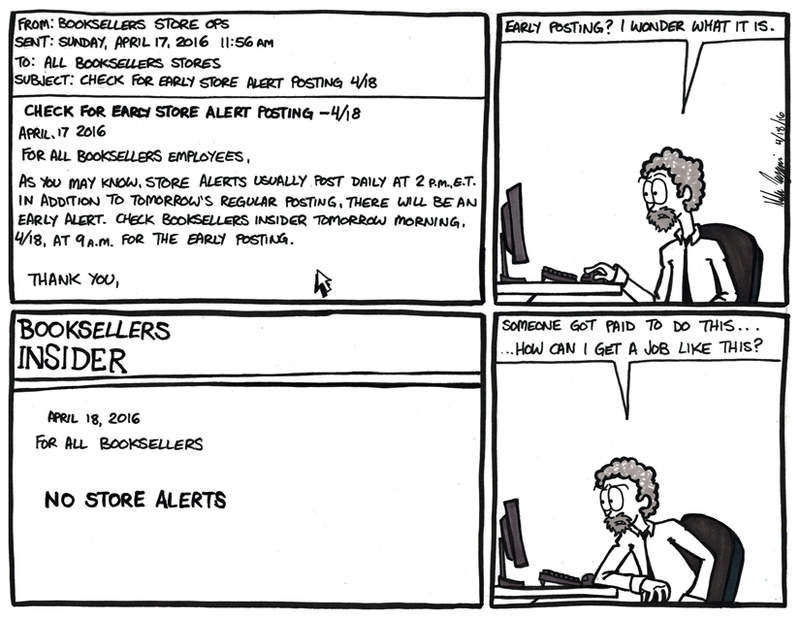 There are Home Office side business decisions and store updates and the like that really show how big of a company The Bookstore is sometimes. When one side is completely ignorant of the other on an internal level things may need to change a bit over there. Or…is there an opening for a cushy job opening for someone who just sits on their hands all day making choices that don’t amount to much at all? I could do that job in my sleep.